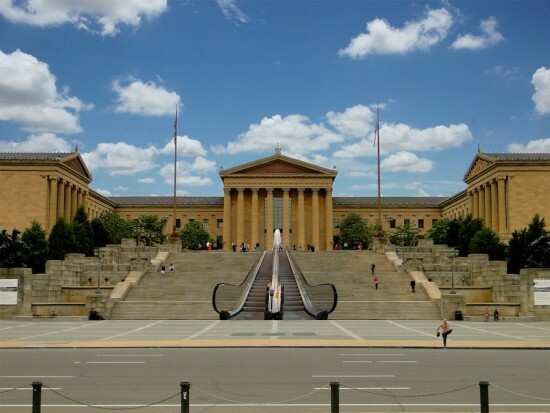 The infamous "Rocky" steps leading up to the Philadelphia Museum of Art will soon be revamped with a new 72-foot escalator beginning in spring 2016. 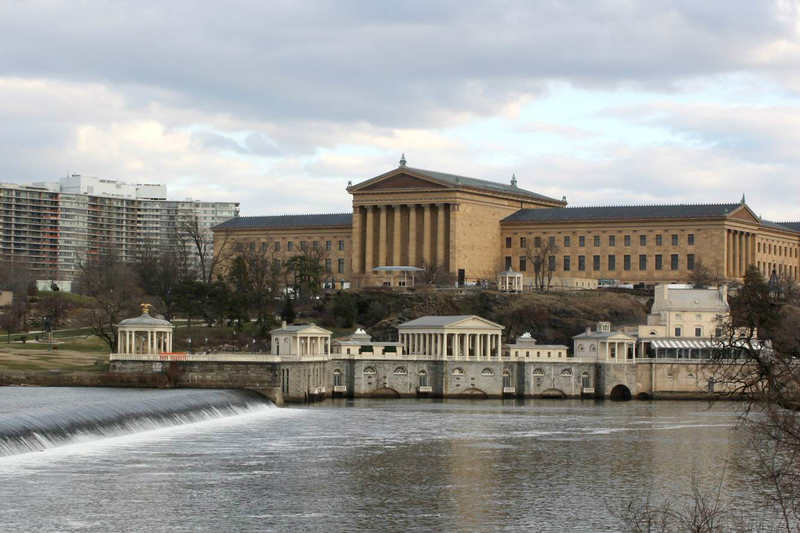 The climb to the museum, which was most notably featured in the iconic movie scene with Sly Stallone, is being transformed to enhance accessibility in time for the Democratic National Convention in Philadelphia next July. And more importantly, this overhaul will be completed in preparation for the next Rocky sequel, ensuring that the action hero, at the ripe age of 68, with his creaky knees, can gracefully scale the stairs once again. In a statement about the visionary project, VISIT PHILADELPHIA's president & CEO, Meryl Levitz, said, “It’s entirely fake. April Fools’!" While the steps will remain intact, change is underway with Frank Gehry's plan to expand the museum's gallery space under the West Terrace, which does sits atop the famous staircase. When Frank Gehry’s renovation of the Philadelphia Museum of Art is complete, the iconic institution won’t necessarily look like one of his signature works—at least from the outside. 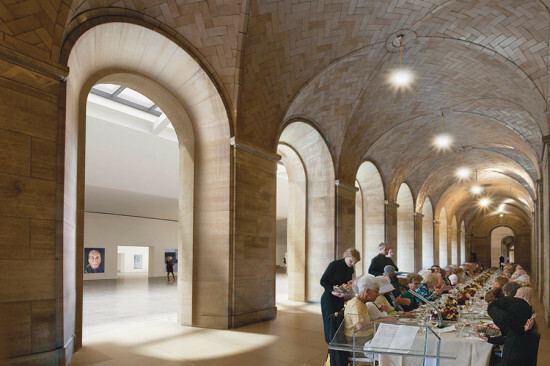 The architect isn't touching the icon's Beaux-Arts exterior, but is, instead, transforming the museum’s interior to improve circulation and boost gallery space. But even then, Gehry’s work won’t be all that “Gehry.” AN recently toured the museum’s exhibit on Gehry’s masterplan and got a chance to hear from the man himself about the museum renovations. On the tour, Gehry explained how he reimagined the building’s interior with a distinctive signature, but one that is inspired by the building’s DNA. “I think if it’s built, you’ll know somebody like me was here,” he said. This renovation has been a long time coming. And it will be a long time still before it's finally realized. The idea to update the museum was born in the 1990s and completing Gehry’s entire overhaul could take 10–15 years more. “If they wait five years, I’ll be 90,” Gehry said. “So for me, get going.” Given his age, and his storied career, AN asked Gehry about what else he wants to accomplish. “I’m so superstitious,” he said before explaining that he wants to increase his involvement in arts education. He mentioned his participation in the Turnaround Arts initiative—a presidential program, which aims to close the achievement gap through arts and music education. He told a story about going into a school in California and teaching kids how to plan and imagine cities. 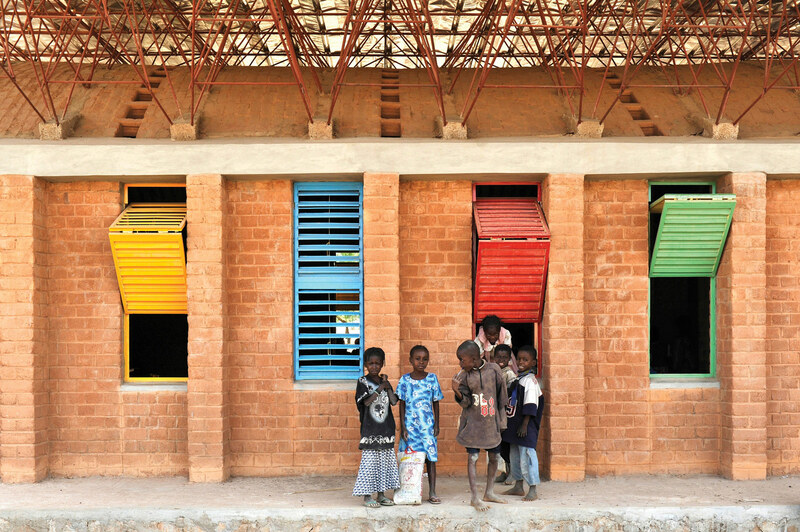 Gehry added that children are often marginalized in “ghetto schools.” “That’s what I’m interested in, that kind of stuff," said Gehry. "I am also designing a sailboat." 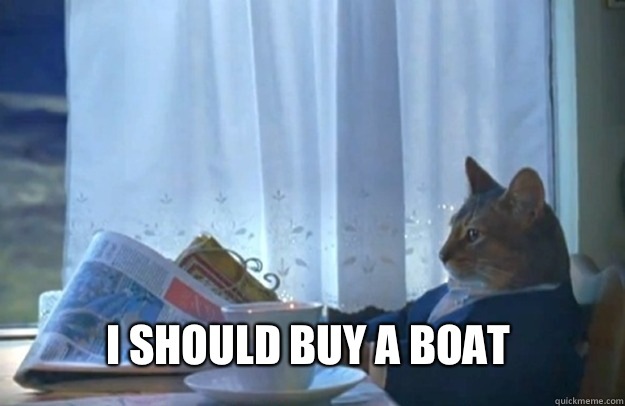 Which, of course seems entirely appropriate given his predilection for sailing. He does, after all, already own a boat called FOGGY, which stands for his initials: Frank Owen Gehry. These days, it seems, every starchitect needs a boat in his or her oeuvre. Hear that Zaha and Norman? Frank will see you at the regatta. Fernand Léger is famous for his colorful paintings, many of which feature machine-like forms. He was also at the center of Paris’ avant-garde in the 1920s, not only in painting, but also in graphics, set and costume design, film-making, and architecture. That is the thesis of Anna Vallye, curator of this fall’s major exhibition at the Philadelphia Museum of Art, Léger: Modern Art and the Metropolis, inspired by the museum’s Léger masterpiece, the monumental 1919 painting, “The City.” Léger was born in 1881 to a cattle farmer in Normandy, France. He trained as an architect and moved to Paris in 1900 to become an architectural draftsman, later transitioning to painting seriously in his mid-20s. He also served in the French army during World War I. When he returned from the front, he painted “The City,” an almost eight-foot-by-ten-foot “mural” painting that Vallye compares to Picasso’s pivotal 1907 work, “Les Desmoiselles d’Avignon.” She wrote in the exhibition catalogue, “If the ‘Desmoiselles’ is a world of fragments that converge in the ‘startled consciousness of (its) viewer’…’The City’ is a throbbing surface with no point of convergence, a bristling aggregate of equivalent signs (disk, pedestrian, letters, smoke) and formal effects.” In the 1920’s, Léger socialized and sometimes collaborated with a wide-ranging group of artists and architects, whose works are on lavish display in this exhibition—of its approximately 180 works, only one-third are by Léger. Thus, in the section focusing on what Vallye calls “publicity,” there are striking posters by Jean Carlu, Francis Bernard, and Cassandre for everything from a record company to a railway. Also here is a snippet of Abel Gance’s film, The Wheel, depicting close-up views of the wheels of a train in motion. Léger's design for a poster for it is nearby. There is also Léger's own experimental film, Mechanical Ballet, made in 1923 with Dudley Murphy and Man Ray. The film had no story line or script, but an array of often abstract images and a score by George Antheil for sixteen player pianos, three airplane propellers, a siren, and seven electric bells. And there are Léger's ballet set and costume designs, such as his multi-colored, abstract, early 1920’s backdrop and accompanying costumes for the Ballets Suedois’ Paris production of “The Skating Rink,” themselves inspired, according to Vallye, by Charlie Chaplin’s 1916 film, The Rink. The final section of the exhibition explores the influence of Léger's architectural training on his later designs, as well as the interaction during the 1920s between architects like Le Corbusier and Robert Mallet-Stevens and furniture designer Eileen Gray with painters like Léger and Theo van Doesburg. Highlights here include a 1982 reconstruction, after the 1923 original, of van Doesburg’s and Cornelius van Eesteren’s model of the utopian de Stijl private house, an explosion into space of planes and primary colors, and similar designs for l’Architecture Vivante, an avant-garde architectural magazine by Gray, Jean Badovici, van Doesburg, van Eesteren, Vilmos Huszar, Le Corbusier, and his cousin, Pierre Jeanneret. The dialogue between Léger's abstract 1924-25 “Mural painting” and more figurative 1926 “Accordian” and “Still Life (The Cameos)” paintings, with earlier still life paintings by Le Corbusier and his colleague, Amedee Ozenfant, is fascinating. For Léger, said Vallye, mural paintings were meant to be a “presence in space. They affect the way you experience the space around them, they are meant to dominate space. If you put a red couch in a room, it changes the temperature of the whole room. 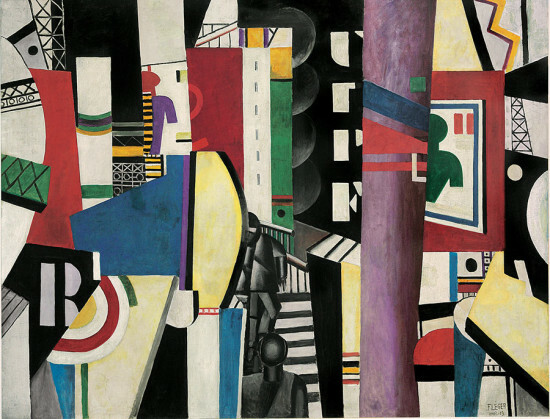 Léger wanted painting to do the same thing.” Léger: Modern Art and the Metropolis, through January 5, 2014, at the Philadelphia Museum of Art, . It will be on display at the Correr Museum in Venice from February 8 to June 2, 2014. 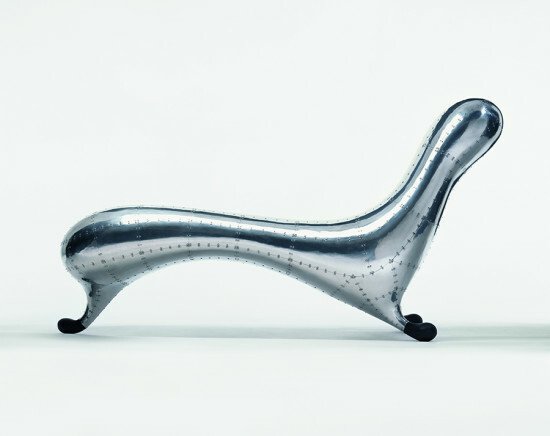 Nearly three decades after he was launched into design stardom by his biomorphic, aluminum Lockhead Lounge (above), famed Australian industrial designer Marc Newson will soon receive his first solo museum exhibition in the United States. 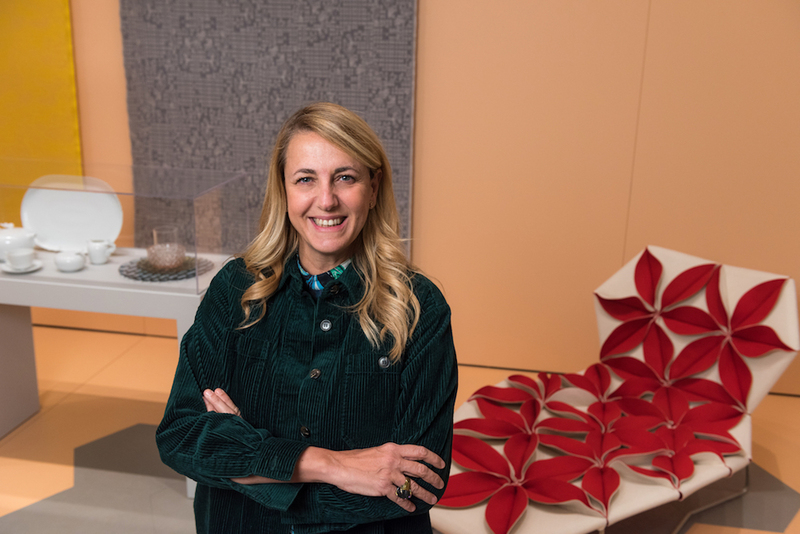 Presented by the Philadelphia Museum of Art, "Marc Newson: At Home" will collect furniture, clothing, appliances, and Newsons’ 021C Ford concept car within a mock, six-room home in the museum’s Collab Gallery. Gathered from collections across Europe, Japan, and the United States, in addition to Newson’s personal cache, the objects on display will highlight the various facets of the designer’s distinctive style of flowing lines, bulbous forms, bright colors, and industrial references which helped to define an era of industrial design. The exhibition opens November 23rd and runs until April 20, 2014. Newson's signature riveted chaise lounge, both one of his most recognizable and rarest works, will be exhibited in the living room along side the matching, cello-shaped Pod of Drawers (1987), Super Guppy lamp (1987), and honeycombed, marble Voronoi Low Shelf (2008), among other works. The kitchen will contain a more attainable collection, including the curving, plastic Dish Doctor dish rack (1997), dinnerware by Noritake, glassware by Iitalla, cutlery from Alessi, and the Champagne Coffret Magnum (2006) for Don Pérignon. 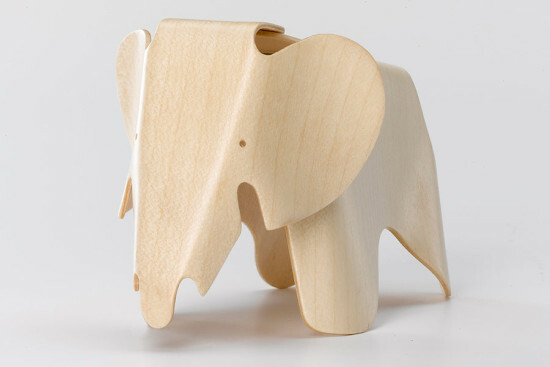 Newson's playful forms and vibrant colors take hold of the children's room, wherein the classic, three-legged Embryo Chair (1988), modular, plastic Bunky Bunk Beds (2010), and "Rocky" Rocking Horse create a vibrant, Jetsonian environment. To catch a glimpse of some Newson-designed clothing from G-Star, head over to the adult bedroom, which will also contain the retro Nimrod chair (2003) and transparent Atmos clock for Swiss watchmakers Jaeger LeCoultre (2008). The minimalist, streamlined Wall Hung "Invisi II" Toilet and Wash Basin (2012) take center stage in Newson's bathroom, while the 021C concept car, designed for Ford and exhibited at the Tokyo Auto Show in 1999, is housed within the garage. Craft Spoken Here Philadelphia Museum of Art 26th St. and Benjamin Franklin Pkwy. 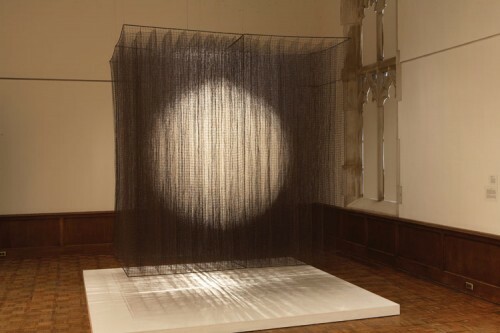 Philadelphia, PA Through August 12 Since it was founded in 1876, the Philadelphia Museum of Art has collected and exhibited crafts; the collection today includes 20th- and 21st-century works from across the globe. With Craft Spoken Here, the Museum presents the medium of crafting as a common language of technique, material, and form that defies cultural boundaries and historical categorization. Drawing from the museum’s collection as well as works on loan from artists and private collections, the exhibition will include some 40 works by acclaimed and lesser-known craftsman alike, with contemporary pieces from 1960 to the present, including The One, 1985 by Rebecca Medel (above). Representing the Americas, Africa, Asia, and Europe with works in ceramic, glass, metal, wood, lacquer, paper, and fiber, the works on display show the breadth of the medium and highlight the qualities of craft that transcend culture and time. Associated Fabrication collaborated with ZHA to create a landscape for Zaha Hadid's exhibition at the Philadelphia Museum of Art, which brought up some interesting challenges. Check out this video we just uncovered of the fabrication in process.